In June 2017 I set off to test out a new itinerary in Colombia called the Barichara Ride. I was caught totally off-guard by Colombia’s beauty, diversity and the incredible friendliness of everyone we met along the way. Highlights for me were riding through rural villages and towns and seeing local life along the way. 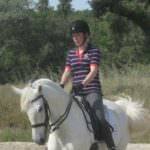 Following the historic cobbled ‘Camino Real’ was fabulous and the way our horses tackled the tricky terrain was really impressive. Spending time exploring Barichara at the end of the trip was a super way to finish on a high. A word of warning, you do need to be riding fit to undertake this trip. Whilst the riding isn’t fast paced, there are long days in the saddle and lots of technical riding in the form of river crossings and steep mountain trails. Also, it probably isn’t the best choice if you are not keen on heights (but the climbs are ok as long as you don’t look down!). 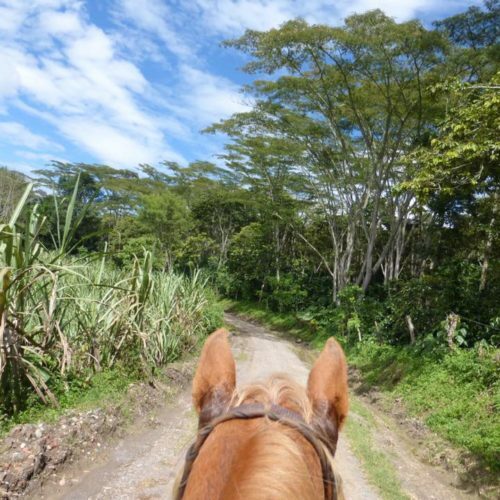 The Barichara Ride is a great choice for experienced riders who are able to handle fit, forward going horses. It is best suited to those with an adventurous spirit, who want to ride somewhere off the beaten path rather than go to a more ‘mainstream’ destination. If you’re keen to find out more, you can read the blog of my trip here.